My background. I was trained as a psychologist and worked as a psychotherapist for some twenty years before putting my hands-on people to relieve them of pain—I now work as a Rolfer, a bodyworker that works deeper in the body than traditional massage. In my days as a psychologist the idea of neuro-transmitter imbalance was being seen as the primary cause of depression and anxiety. Traditional talk therapy was on the way out and medications were touted as the more effective and quicker form of treatment. But the hoped- for panacea has not turned out to be so—the majority of people taking anti-depressants do not find relief of their suffering. Puzzling over this, I have run into bold and disturbing questions: Could it be that the body and mind do not want to let go of disturbing emotions so easily? Could it be that depression, anxiety, anger, even shame and sadness overtake us for a reason, one that Nature itself intended in order to force us to attend to difficult situations that we might otherwise prefer to ignore? In other words, might depression be Nature’s way of depriving us of energy so that we can’t continue living our lives in the same, unfulfilling way? Might anxiety indeed be a warning to alert us to situations that are in need of creative solutions so that we avoid harm or mishap not miss out on opportunity? Might anger be Nature’s disturbing fire that motivates us to face unfairness and push through our tendency to avoid conflict; that is, might anger be a push from Nature to motivate us to advocate for ourselves in circumstances in which we ordinarily would tend to ignore our legitimate self-interests? I recall going to a masterful Chinese medicine doctor years ago, hoping for a remedy from his vast medicinal pharmacy that would cure a nasty, intractable depression. After several rounds of ill-fated formulas, he said, “Len, maybe your depression is there for a reason. What are the depressing circumstances of your life that need attending to?” His question brought me face to face with a deeply imbalanced romantic relationship that demanded a solution. The depression was not going to subside until I had changed the depressing situation in which I was caught. My Daily Practice. I have meditated for years and have often used this practice to calm troubled nerves to find relief from disturbance. But in recent years my approach has changed. As I have trusted difficult emotions as part of my evolutionary intelligence to warn me of situations in need of attention, I have incorporated respectful listening into my meditations. I now want to know what troubles me, so I listen for any signs of tension in my body and then ask, what emotion is related to this bodily sensation? Perhaps it’s tension in my stomach; turning in, I note anxiety, and upon inquiring further, I ask, what danger might my anxiety be alerting me to? From here I have noted various situations that call for a pro-active, creative response—perhaps I need to re-negotiate a deadline for a task that I’m behind on; perhaps I need to ask for help in finishing parts of the project; perhaps I should prioritize a task that I’ve been avoidant of. I’ve approached anger and irritation in a similar manner. Rather than attempting to rise above my anger, I now honor it by listening closely to find how I might have allowed an unfair situation. Often, I find that the anger subsides once I take action on my behalf, which might involve speaking to a friend about hurt over disrespectful words spoken or setting a boundary and no longer over-extending myself in a relationship. Depression has been more challenging, for it calls for one to drop into the deep and feel the helplessness that we so fear of this dark force. But in the depth of exhaustion and discouragement I ask, what am I weary of doing? What no longer satisfies me? Such deep, probing questions require great self-honesty and courage, but the rewards can be immense. The Negative as a Form of Guidance. For years I sought direction for career or relationship by looking for that which inspired me; what I now would refer to as positive guidance. But with inclusion of difficult emotions as Nature’s intelligent guidance system—much like our GPS—I now consider that I can find as much direction for my life by noticing what I don’t like. What I yearn for and take delight in guides my decisions, and what I dislike and find disturbing equally guides me away from situations and decisions that are not in my best interest. These words would not be complete without mention of a grand, heart-moving scene from the movie Beasts of the Southern Wild. Young Hushpuppy, a motherless six-year old girl living in abject poverty in the backwaters of the southern bayou has dreamed of ancient aurochs—beasts much larger than her—coming to invade her land, a sure symbol of the approaching tragedies and changes she is about to face in the loss of her father and community. In a pivotal moment Hushpuppy turns and refuses to run any longer. She stares the imposing, intimidating monsters in the face with snouts only a foot from her own noise, and she looks into their eyes. The terrible aurochs finally stop and bow to their knees in humble, reverent response to the courage of the human spirit that no longer flees in fear. Over the last thirty years Len has practiced as a psychologist, marriage and family therapist, Rolfer, dream researcher and health consultant. He obtained his PhD in Counseling Psychology from Florida State University (FSU) in 1981, and was certified as a bodyworker by the Rolf Institute in 2000. He has led numerous seminars for therapists and laypersons on Depth Psychology, the use of dreams for psychological and spiritual guidance, and the power of meditation for potentiating creativity and health. For more about Len Worley, PhD visit lenworleyphd.com. 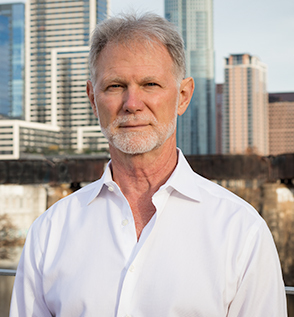 Len Worley, PhD Over the last thirty years Len has practiced as a psychologist, marriage and family therapist, Rolfer, dream researcher and health consultant. He obtained his PhD in Counseling Psychology from Florida State University (FSU) in 1981, and was certified as a bodyworker by the Rolf Institute in 2000. He has led numerous seminars for therapists and laypersons on Depth Psychology, the use of dreams for psychological and spiritual guidance, and the power of meditation for potentiating creativity and health. For more about Len Worley, PhD visit lenworleyphd.com. You’re a hack with lame ideas and you’re a terrible writer. How in God’s name did you ever get into grad school (if indeed you did—I’m not convinced that you have a PhD)? Hi Severin, I am sorry you feel that way. There have been many people who have found Len Worley’s work to be extremely helpful and effective. His ideas are a grand stride against the money hungry pharmaceutical industry (who like to convince us that mental discontentments are diseases that need to be chemically treated). I wish you good health. If you ever need to talk, Arts of Thought is here for you. Just send a message via the contact us page. Hi Kara, thanks for reading :) I really enjoy this topic.